When you head out to the hunting field during the crossbow season you will bump into many hunters from young and old, to the inexperienced to the experienced. Each hunter will offer you their own tips and tricks on how best to hunt for whitetail deer using a crossbow, and they will all have their own techniques and methods in what works best. One of those methods that are becoming popular among many hunters up and down the country is crossbow hunting from a ground level, and there are a number of ways you can go about this and a number of tips that we can offer you to help you stand the best chances in bagging a nice sized Buck. During the fall Bucks tend to come out of the woodwork in order to boost their calorie intakes, this is because of a number of reasons which include the upcoming rut, and because of the Winter period that is going to set in when food sources can become much more scares than the months of September and October. During these couple of months where Bucks increase their food intake you will notice familiar patterns in their movement. Before you begin firing off any bows, you want to analyze their patterns, so look for food sources they are going to and mark down how many times a day they use the source and roughly when they turn up there. This alone will give you a great advantage to knowing their preferred routes. There are two ways to hunt with a cross bow from the ground and the more common way is to use a deer blind that will essentially camouflage yourself but also provide you with the best chance of getting a close shot. Deer blinds come in all shapes and sizes from tent like huts to mirrors. The huts will protect your from the wind and any adverse weather conditions whilst keeping you hidden from the deer, and in these huts you will be able to take a seat and spin in a 360 motion so you can see the lay of the land around you and any deer that may be closing in. Each hut will also have a black out blind so that deer cannot see any movement within the confines of the hut and gun holes will be present so that you can get in a shot at close distance. The second option is to use ground mirrors, these are essentially foldable mirrors that the hunter sits behind, and the beauty of these is that they reflect the surroundings so that you can camouflage yourself behind them and the deer have no idea that what they are seeing is simply a reflection of the ground around them. What this will do is enable you to get close enough to the deer without the need to move or stalk, and get in that prize winning shot. Ground mirrors will allow you to setup a stand placement so that you can benefit from stability and control with your cross bow, but you can also sit and wait. The final way to hunt from the ground is using the old techniques of just camouflage yourself head to toe and adopting a very flat position on the ground (much like an army crawl), this will allow you to get very close to door but you also must make sure that the wind direction is on your side. These days not many hunters will adopt this position of ground hunting with a cross bow due to two main reasons. The first is that it’s the least successful when getting a shot away and bagging a prize Buck or decent sized whitetail, the huts and blinds are much more successful and you get a certain amount of protection from the weather conditions. However the biggest reason comes down to health and safety because you have to realize that a lot of hunters will be in the area and if they don’t see you, but see your movement you could end up getting fatally wounded by another hunters cross bow. With any type of hunting you need to remember two main things, and they are that you need to be patient. If you aren’t the patient type then cross bow hunting or deer hunting in general isn’t going to be a good fit for you because you need to be prepared for long hours of waiting and stalking your prey before you have the chance to get in that killer shot. The second thing to remember is that any good hunter needs to adapt to situations and changes and constantly use their ears and eyes to get the better of the deer they are hunting. With these tips considered your next deer hunting trip should be a great success. How to Become a Better Close Distant Bow Hunter? 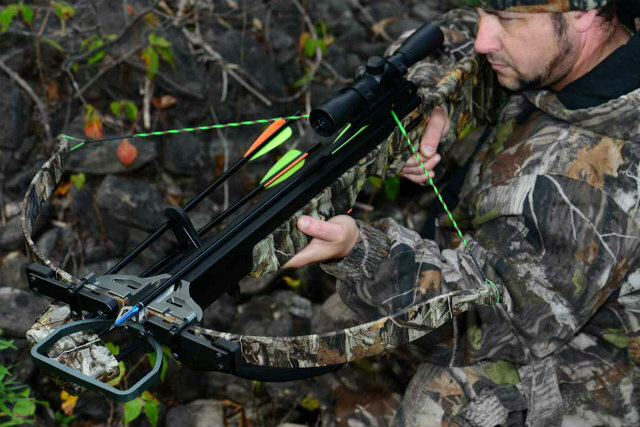 Next articleHow to Become a Better Close Distant Bow Hunter?